Bach Cantatas BWV 61 & 62 "Nun komm, der Heiden Heiland"
"The soprano aria [...] combined a gentle vocal line, sung with long bright tones by Nicola Corbishley, with moving bass on the cello..."
exhibiting dazzling technique and vibrant tone." "Nicola Corbishley sang the Domine Deus, Rex coelestis section with a lovely light tone..."
"Sung to perfection by Nicola Corbishley, Clare Wilkinson, Christopher Watson and Jimmy Holliday ..."
​"The cast gave the oratorio a new lease of life with fabulous costumes and excellent acting, while maintaining the poise and refinement music of the period demands. A sense of rapport with the audience was helped very much by the intimacy of the venue. Some fantastic performances were given, most notably by Nicola Corbishley, who sang the role of Semele with a light yet warm tone and who performed her coloratura moments with impeccable control." 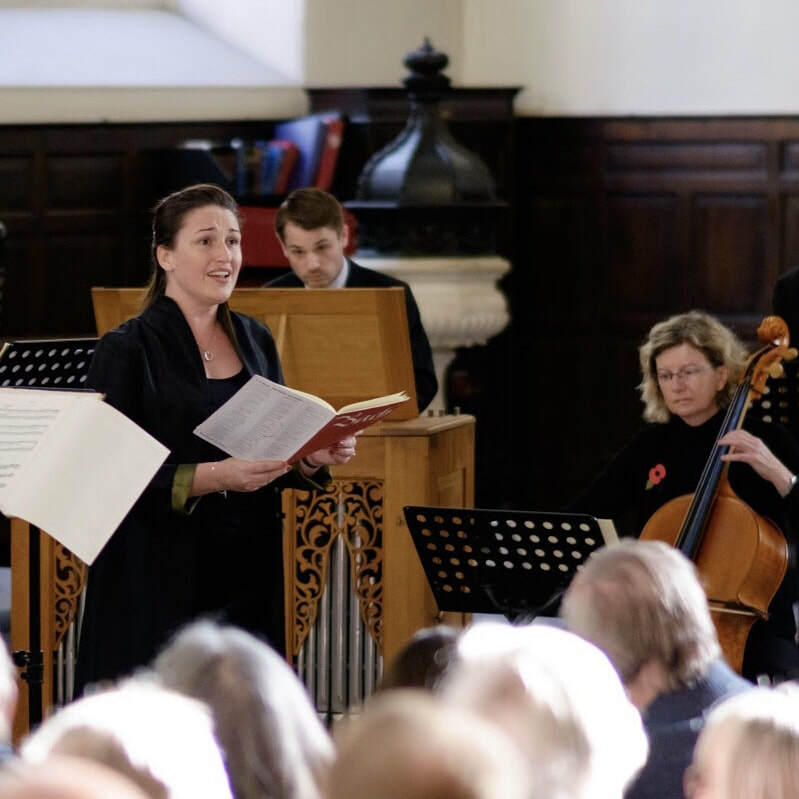 "Nicola Corbishley ... sang her soprano arias expertly." "In the smaller roles, Nicola Corbishley (as the 2nd woman) came off best, several people in the audience looking up suddenly from their programmes the moment she began to sing."